Keating has his first track win for Cullen at Tramore. Eddie Keating has been having a fabulous year with it getting better at Tramore this evening when the young Co Wexford man won for the first time on the track. The 7 lb claimer was given the leg up on War of the Pennys by Rathgarogue , New Ross trainer Michael Cullen in the 2 mile 5 furlong Maiden Hurdle and they sprang a major surprise when winning at 33/1. The 6 year old son of Presenting had shown little form to date, but running for Cullen for the first time, the well related gelding, who comes from the family of War of Attrition made a successful hurdling debut here. Wearing the green and gold of the Rathgarogue/Cushinstown GAA club and owned by Cullens near neighbour Talitha Doran the horse promises much on ground like this. His fifth of eleven when placed in a bumper at Cork in January was a good enough effort in truth but his odds reflected the market confidence in him. Keating operates from Rathnageera just outside of New Ross and won his first point to point this season at Ballinaboola when riding and training Subtle Ben for his neighbour Michael Corcoran to win. That horse has since been sold onto Liz Doyle and has won on the track for her. A couple of other wins between the flags has seen Keating having his best season to date. Talented, hard working and dependable Keating’s star is on the rise after this memorable win. Cullen was on a role this evening at the South East track as he took the handicap chase as well with the Kings Theatre mare Offside Rule. Ridden by Andrew Lynch the 8 year old mare owned and bred by Stephen Lanigan O’Keeffe won her point to point at Athlacca under Benny Walsh in 2012 and got home here by a half length to win her first race on the track. Cullen has a small enough yard but he has a fair hit rate with his runners and is well worth keeping an eye on. Other news at the track on the first day of their two day meeting saw a double for Willie Mullins and Ruby Walsh with the French bred’s Ashjar and Alelchi Inois . While Samantha Jones won for Michael Winters and Davy Russell, Never Said That for Edward Cawley and Philip Enright and Paul Flynn and Jody McGarvey won with Benefitthewest. But its Keatings day as Cullen gives him his first track winner. Kinsale and Ballingarry are ready for lift off on Champions weekend. So its here, that final weekend of the Point to Point season with the South Union Foxhounds and the Ormond Foxhounds ready for lift off at Kinsale and Ballingarry! With Jamie Codd and Derek O’Connor locked in a dramatic duel for the overall title of Champion jockey organisers must be looking forward to bumper crowds over the three days of the Bank Holiday weekend. With Codd clocking 90 last weekend his lead of 3 is slender enough over O’Connor, with both of them capable of rattling off a handful of winners on any of the days. Sunday promises to be very interesting as with meetings at both Kinsale and Ballingarry each of them will have to decide just where to race and that decision can only be made once they have settled on their book of rides! With each of these a potential championship winning ride their own judgement as to the best horse in the race comes into play here, then of course they have to win on it! They will have similar problems on Saturday and Monday where they will be going head to head at Kinsale and Ballingarry. With no place to hide , not that they would want to , both of these men have added to a really bright season and being relatively injury free its all down to the last three days. So no pressure Jamie and Derek!!!! Saturday at Kinsale sees an interesting card on offer with a couple of Open Lightweights. The Mares contest sponsored by Containment Service Providers has 9 entries with Paul O’Flynn likely to saddle Pops Well here with the mare a possible favourite. Don’t discount Donal O’Briens Black Lily , Sean Ahernes , Isourbell nor Ballyadam Dancer for John Ryan. With 15 mares entered at Ballingarry on Monday for the Liffey Mills Open , so many of them hold a double entry that it wouldn’t surprise me to see them all turn out again! A very strong entry of 23 can face the starter for the BCP Management Open at Kinsale on Saturday and yes they nearly all reappear among the entries on Sunday at Ballingarry in the Glue Pot sponsored event which has a massive 35 entered. If they don’t appear in the entries there you can nearly take it for certain that they appear in the 10 entries in Ladies Open at Kinsale on the same day. So taking a quick intake of breath try Pops Well and Ciaran Fennessy in the Mares at Kinsale and Pocket Reader for Irene Walsh in the other Open on the Saturday evening fixture. With two meetings on Sunday my guess is that The Holinwell will race at Kinsale in the Ladies crowning a great season for Maxine O’Sullivan on her home turf, while the Ballingarry Open could go to Vital Plot and Jamie Codd if Liam Kenny chooses to send the horse that way and miss Stratford. The final Open of the year will be at Ballingarry with the mares battling it out. Its a toss up here as to who will run but my guess is David Christies Maple Mons might cause a surprise here. With Maxine O’Sullivan due to win the Ladies title and Eugene O’Sullivan’s The Hollinwell being the seasons champion horse, Rob James will take the Novice title ,Robert Tyner will be seasons top trainer while Beneficial is likely to be the top sire, its between Codd and O’Connor for the National Jockeys title! Get out there and enjoy Champions weekend! Try not to lose your shirt on these! With the first flat racing classics of the season over in Ireland , Britain and France my little head is still very much stuck over the jumps with the point to point season ending this weekend. With a nice run of winners in the past few days with my “One for the Day” I thought I would be brave and share a few eye-catchers with you. The usual health warning of “these should win soon, i just don’t know when!”stands. MM Dazzler is a nice Fruits of Love 6 year old mare trained in Co Cork by Adrian Magiure. After trying her in point to points she won on the track and ran well at Limerick a couple of Sundays ago. She was well held by Aidan O’Briens Macbride in the bumper, but this was a solid performance as that Oscar horse is well regarded in Ballydoyle. 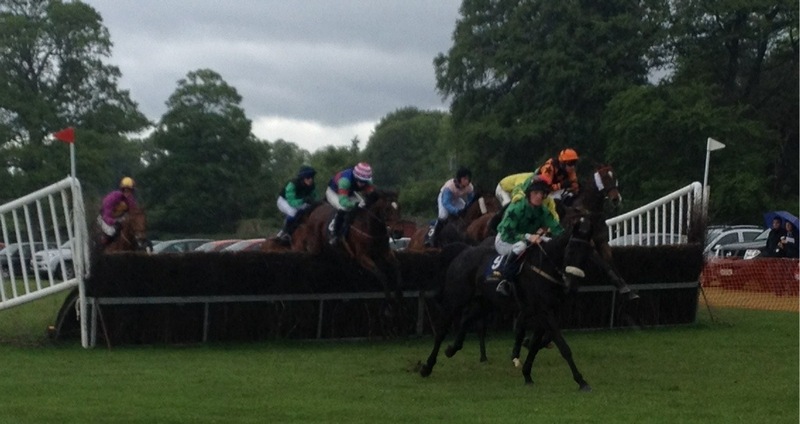 Maguires mare is worth support next time out in a bumper and definitely when popped over a jump. Aidan O’Brien has a live challenger for all the leading staying races on the flat this summer in the shape of Leading Light. This Montjeu 4 year old opened his 2014 campaign at Navan with a workmanlike performance over Royal Diamond. While he looks a little quirky to ride as his head carriage would indicate that he can maybe hold a little in reserve. If Joseph O’Brien can get that little bit out of him he looks like a serious player in the Ascot Gold Cup in a few weeks time. With a win in last seasons Group 3 Queens Vase at the Royal meeting he stepped up at Doncaster to take the Group1 St Leger proving his obvious ability. He looks like a possibility for even more glory in the Cup races this season. Jim Bolger and Kevin Manning are a formidable partnership and can strike at any level. With his Redmondstown breeding operation having a good strike rate Bolger regularly saddles a winner in his wife Jackies colours. 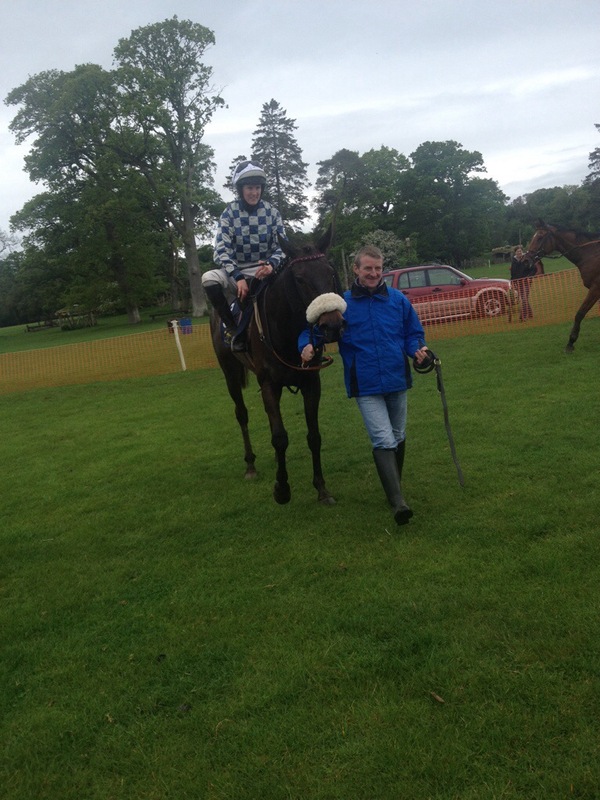 One such horse, Chance To Dance a 4 year old by Teofilo ran well at Roscommon recently to look like one for the notebook. A newcomer to the track, he has been busy since making his debut in April. Running three times already in May, Bolger is not one to let his horses loiter! So I would see how he goes but he is worth a chance. Reverting to the jumps for a few eye catchers sees Colin Bowes Mollyanna catch the eye. The 6 year old had progressive winning form in the point to points and has now been tried inside the rails. The daughter of Oscar was a beaten joint favourite at Clonmel on the 22nd when third to Carrigmoorna Rock. 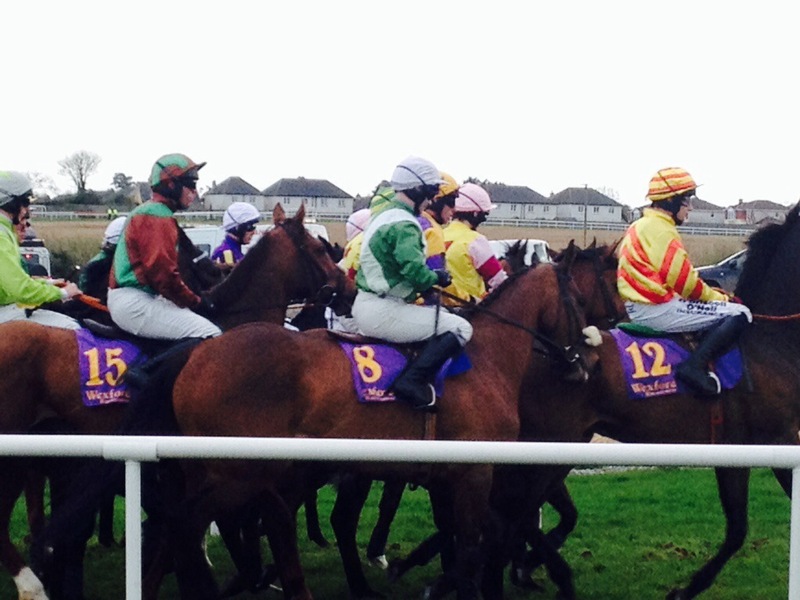 She wasn’t able to pick up before the last at the Co Tipperary track under Eddie O ‘Connell. Bowe has a knack in getting race mares fit and keeping them sweet and I would say that the Bernard Cloney mare is no exception. Assuming that she enjoys a livelier surface it wont be long till she wins in my view. Robert Tyner will be crowned the champion point to point trainer this weekend. But many of his horses are tried on the track after an introduction between the flags. His winning point to pointer , Shantou Shine has made that transition and with a bit of look she can add to that on the track. A nice second in the handicap hurdle at Clonmel for the 6 year old augers well for the future.A 6 year old mare by Shantou she was run out of it by the surprise winner Mallards In Flight but could be a serious contender. Anyway thats all the Eyecatchers for this week, try not to lose your shirt on them! 26th Ballinrobe (e), 27th Ballinrobe (e), 29th Fairyhouse (e), 30th Down Royal (e), Tramore (e), 31st Tramore, 1st Kilbeggan, Listowel. Queally’s double at Inchydoney sets up the last two meetings for Codd and O’Connor as O’Sullivan awaits her title! The buckets and spades were out this weekend with the point to point world racing at Ballybunion and Inchydoney. With the two day meeting at Tattersalls Farm ( on Thursday and Friday) seeing both Jamie Codd and Derek O’Connor drawing a blank on the second day ,action at Ballybunion saw the pair go head to head. With O’Connor’s treble on April Dusk, Simple Milan and Strange Talk just shading Codds double on Masterplan and Diamond Shadow both of them headed to Inchydoney in West Cork with only 3 wins separating them (89 Codd – 86 O’Connor). The only other winner at the North Kerry venue saw Maxine O’Sullivan ride her 13th winner when winning on Cork Citizen in the Kerry Group Open making her the uncrowned Ladies champion. Barry O’Neill opened the action here with a winner Billy Buff for Colin Bowe. The 4 year old Multiplex gelding was successful in the colours of Richard Kent and saw O ‘Neill add to his Tattersalls double on The Corruptor for Sean Doyle and Peggy Do for Tony Black to bring him onto the 49 winner mark for the season. Codd put himself onto the 90 winner mark today when he got Denis Murphy’s Sleeping Indian gelding, Tough Cat , home in the Five Year Old Maiden. But O’Connor kept tabs on him as the Galway man partnered Klassy to victory in the Irish Yogurts Open to put himself on the 87 winner mark. Sam Curling indicated at Stradbally last weekend that the veteran 12 year old might be tried again and he was true to his word as the Kahyasi gelding shaded Codd and The Baler in a tight finish. 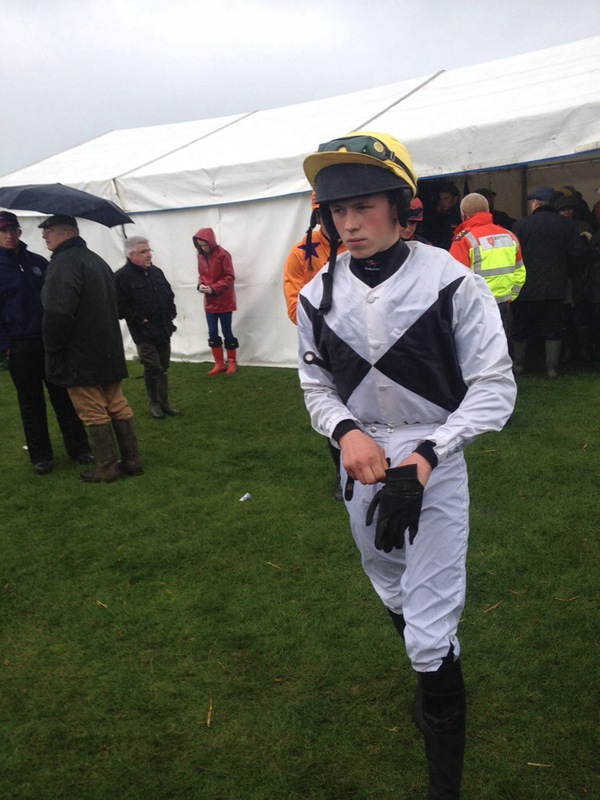 Young Co Waterford based jockey Declan Queally took the riding honours on the day however with a double, moving him into fifth place at present in the National Jockeys race on the 22 winner mark. He took the Winner of One contest for Margaret Flynn on the 12 year old Bobs Return gelding Stand Sure. Having only run 16 times in 6 years the horse has had a couple of spells “off” but Flynn obviously has the key to keeping him sound and won here in the colours of Trevor O’Reilly. With Flynn training a team of horses from her base in Stradbally, Co Waterford, Queally continues to deliver quality performances in the southern region. He notched another double for the season in the concluding Older Geldings Maiden when getting the leg up on Killabraher Cross from Michael Winters. Winters, last seasons most successful Co Cork based national hunt trainer , is always one to take note of in this sphere and with Queally in the saddle they scored with the 7 year old Kasmayo gelding. With inform Jimmy O ‘Rourke the only other winner today when scoring on Emilyano for Tim O’Keeffe its onto Kinsale and Ballingarry next weekend for the final 3 days and 4 meetings! With this weekends four days racing at Tatts , Ballybunion and Inchydoney, only yielding 3 winners for Codd ,O’Connor’s 5 winners makes it very tight. As I’ve said before no one is making it easy for them with doubles for McParlan, O’Neill and Queally at the same meetings more than proving it! But its Queally’s day at Inchydoney even if he didnt have much use for his bucket and spade as he upstages Codd and O’Connor. The first Classics of the season brings out the rain ! With the first Classic races of the season due off this weekend at the Curragh this amateur tipster cannot really look beyond the Aidan O’Brien War Command in the Group 1 Tattersalls 2000 Guineas. I know, Kingman races and will be favourite but I am prepared to ignore the first run of the Ballydoyle horses this season and can see him bolting up the home straight under Joseph O’Brien. The American bred son of War Front won last seasons Dewhurst and Coventry Stakes and ran down the field in the English 2000. He wasn’t Ballydoyle’s first choice in that race but he is in the Irish equivalent. The 1000 Guineas on Sunday looks even more difficult to fathom out with 12 declared. My choice here is purely based on Dermot Welds wonderful form at present. Tested a progressive looking 3 year old filly by Selkirk won last at Gowran and could spring a surprise in the Abdullah colours for the in form Pat Smullen. With these classics over the weekend the summer is well and truly upon us and with the sound of rainfall overnight it looks like it might be a long soft season for everyone! He hasn’t gone away you know! O’Connor cuts into Codds lead as McParlan and Millenary headline day 1. The point to point weekend slipped into gear today at Tattersalls Farm with the opening day of the two day Louth Foxhound fixture at the Fairyhouse venue. With a bit of British / Irish rivalry as an added attraction this meeting throws up the possibility of surprise or two. With Derek O’Connor five adrift of Jamie Codd at the start of the day, only four of the scheduled six races were open to him to peg Codd back. With a Ladies Open and a Confined Novice Riders race on the card the Five Year Old Geldings race was divided allowing O’Connor and Codd to go head to head in five actual races. None of these two men are going to be let away with much however with O’Connor the only one of the pair to record a winner. Riding Padawan for Co Tipperary based Roisin Hickey the Stowaway gelding took the first division of the Five Year Old Maiden for O’Connor to move him within four of Codd in their battle for the National Jockeys title. Reminding us of the often used term “he hasn’t gone away you know”, and everyone better believe it! 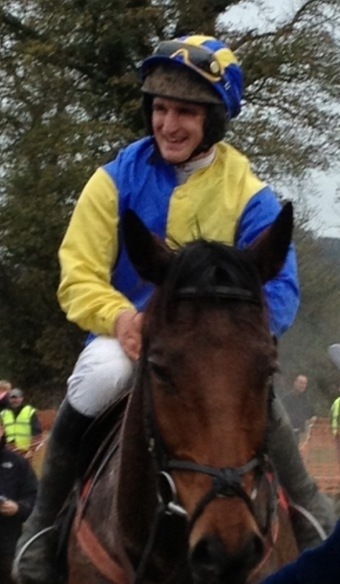 Noel McParlan was a proud man at the track today as the Co Down man won on Drumlee Lad. He had the added satisfaction today of not only riding the horse, but he also trains it and owns it! The 4 year old Millenary horse will now head to the sales. McParlan followed up in the Five Year Old Mares Maiden when winning on Wellywoman for Co Kildare trainer Peter Maher. This mare another Millenary horse built on her two previous runs to win here. It was a notable day for Millenary as the Knockhouse Stud based stallion recorded a sires treble with Sean Kinsella’s son of Rainbow Quest also being responsible for the final winner Blackstone Edge. This Co Westmeath based runner won for William Ross and his uncle Cecil in the hands of Trevor Ryan. The Ladies Open was won by Galloping Gander in the hands of Maxine O’Sullivan. This Danehill Dancer horse carried the colours of the winning rider herself and was trained by her father Eugene O’Sullivan. This winner just adds to O’Sullivans memorable season as the Mallow based Co Cork rider edges ever closer to a championship win. The final two winners today saw Co Waterford based Paul Power join forces with Kilkenny hurling legend Kieran Purcell to win the second division of the Five Year Old Geldings Maiden with the Oscar horse ,Red Sunset. While Gentle Cloud continued to impress with John Barry winning on the Padriag Higgins trained horse in the Winners race. 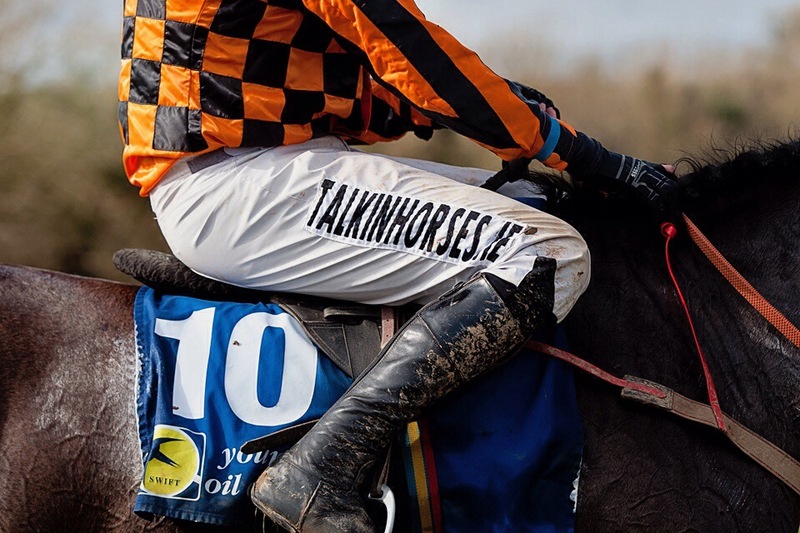 Action continues tomorrow at the track with day two of the Louth Foxhounds with a real holiday feeling on Saturday and Sunday with meetings at Ballybunion on the 24th and Inchydoney on the 25th. The Kerry Group sponsor the Open at the North Kerry Harriers at Ballybunion while Irish Yogurts sponsor the Open at the Carbery meeting at Inchydoney. Stradbally winner ,Klassy, might turn out again at the West Cork track for Sam Curling while Cork Citizen could be of interest at Ballybunion on Saturday for the O’Sullivans. Multiple entries for many horses makes it uncertain and with a bit of quicker ground on offer racing arrangements can be unclear. But for now the second last week of the 2013/14 season awaits! Codds classy treble at Stradbally sets the theme of the day. 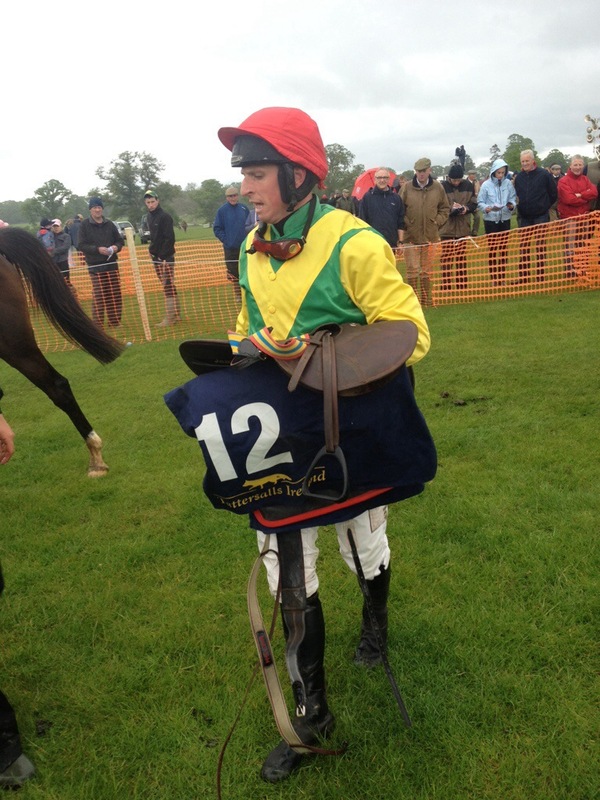 The Laois Hunt Point to Point promised much at Stradbally Hall on the 18th of May and it didn’t disappoint with a classy treble for Jamie Codd and a Klassy Open win for Racheal Blackmore. This treble was hard won by Codd but the Wexford maintained his lead of 5 wins over reigning champion Derek O’Connor who kept tabs on him with a treble of his own at Bartlemy. With what looked and walked like a fast surface being officially returned as good, the six race card saw the Noel Hume Memorial Chase divided with 21 of the original 32 entries being declared giving seven contests. Racing opened with Codd riding the even money favourite, Lords Park Star for Co Kilkenny trainer JJ “Shark” Hanlon. 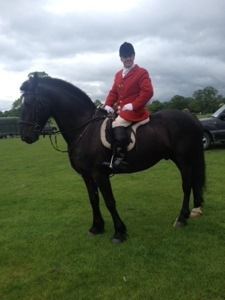 This 5 year old Presenting gelding owned by Birr, Co Offaly man John Sherlock “Had solid form prior to this and will be sold at Brightwells if we get the right money” according to Hanlon. Codd had Lords Park Star in third place behind the leading pair Redrobin and Seabhac Antsleibhe, with the well supported Redrobin falling two out when holding every chance under Pa King. This allowed Codd to coast home and win the Tattersalls Ireland 5 year old maiden by 12 lengths. Codd was on a double pretty soon after when he took the very next contest the Racing UK Winners of Two with Sizing Solution. Owned by Alan Potts and trained at Killsallaghan , Co Dublin by Jim Dreaper the Kings Theatre 6 year old went off the 6/4 favourite and won well from the eyecatching Follow The Moon. Codd took a fair tumble in the second division of the Noel Hume Memorial Chase off Pat Fahy’s Battle Ground but that didnt deter him later in the afternoon from winning the Meadow Meats 7 Year Old Geldings Maiden on Marmaladeskies. He had however to endure a hair raising moment or two on the Bishop Of Cashel 7 year old as he raced pretty strongly once put into the race and not jumping well fairly clouted the last. Codd to his credit sat tight to roust his charge back into action to land the odds of even money for the south Co Wicklow based Porter family. Home bred by winning owner David Porters father from their Insan mare Rapsan, he had been second on his last two outings and looked likely to repeat that placing after Colgrave Sound under young Kilkenny jockey Patrick O’Donnell went four lengths clear at the third last. His effort just faded a little as Codd galvanised his mount to lead after the second last and survive his last fence incident. With the classy Jamie Codd riding a treble, Sam Curlings 12 year old Kahyasi horse Klassy continued the theme of the day when taking the Ladies Open Lightweight sponsored by Revive Beauty & Laser Clinic. With all nine entries being declared, Rachael Blackmore who rides out one day a week at Curlings Tipperary yard gave the horse a super ride to win at 5/4 on. Maxine O’Sullivan made a brave effort on the David Christie trained Without The Bop but they had no answer to Blackmore and Klassy and faded to finish third. The final challenge to the winner came from Elembridge King , who despite being very mullish in the parade ring and on his way to the start gave his backers a good run to finish second under Lisa O’Neill. The first division of the Confined Maiden for 5 year olds and older went to Ciaran Murphys Co Westmeath yard with the 5 year old Cloudings gelding High In The Clouds. The 2/1 shot was popped off in front by Declan Lavery and he stayed there to defy Codd on Of The Hook. The second divide here went to Co Kildare jockey Barry Browne who came home a distance clear on Book of Excuses for near neighbour Peter Cribbin. Cribbins yard has a good strike rate between the flags this year as his only other runner Our Girl Rosie won as well. The winner a 6 year old Brian Boru gelding had made a big impression in the Bishopscourt at Punchestown and “Will go to the track now” according to Cribbin. 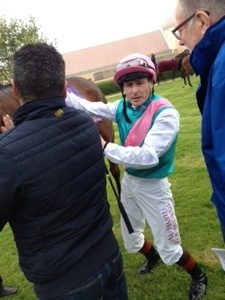 Taghmon, Co Wexford based trainer Richard O’Keeffe finally got a winning tune out of his homebred 9 year old mare Rainbow Sally when taking the Older Mares Maiden under Gary Murphy. Murphy gave the daughter of Needle Gun a “Great spin” according to O’Keeffe with his move to kick for home on the homeward bend after the third last paying off. From the O’Keeffe’s Kilbricken family she will be tried on the track after this. 19th Roscommon (e), 21st Sligo (e), 22nd Clonmel (e), 23rd Cork (e), 24th Curragh, 25th Curragh. These Oldies are Goldies and can still win a race or two! Racing sometimes , no ,nearly always puts the focus on the future , on the bright new stars and the newest kid on the block. At the recent Punchestown Festival Henry De Bromhead saddled two venerable 12 year olds, Sizing Europe and Sizing Australia show a clean pair of heels to younger rivals. Sizing Europe took a Grade 1 at the meeting having run with great merit in the Champion Chase at Cheltenham earlier in March. In the point to point world this season has seen the 14 year old Powerstation score for the O’Connell family, Send For Paddy a 13 year old has won for the Armstrongs , Susan Oakes got a great tune out of O’ Muiracheartaigh a now youthful 14 year old. At Tipperary on Thursday last I saw a couple of oldtimers score on the evening with Tom Foley’s Followmeuptocarlow and Stephen Nolans Prince Rudi both winning over fences. Foley’s horse is an 11 year old son of Tiraaz who managed to win a beginners chase under Paul Townend while Ian McCarthy steered home the 12 Prince Rudi in the handicap chase. When you throw in Ger Keanes 11 year old Waterloo Chateau winning at Downpatrick and James Nash winning at Killarney with another 11 year old Your Busy you start getting message that many an older horse can still win over many different levels. Of course these “oldies” have a little way to go to surpass such characters as Sonny Somers who won ,if memory serves me right , as an 18 year old for Fred Winter in Britain,or Mac Vidi being placed in a Cheltenham Gold Cup as a 15 year old for Pam Neal,or Tubs VI who was trained by Val O’Brien in Galway to win at 16 years old! These oldies are goldies and deserve to be remembered in this fast and furious world.